In a previous article, we explained the importance of monitoring the performance of your servers. Keeping tabs on metrics such as CPU, memory, disk usage, uptime, network traffic and swap usage will help you gauge the general health of your environment as well as provide the context you need to troubleshoot and solve production issues. In the past, command line tools such as top, htop or nstat might have been enough but in today’s modern IT environments, a more centralized approach for monitoring must be implemented. There are a variety of open source daemons that can be used for monitoring servers, such as StatsD and collectd, but these only handle the process of collection. These need to be complemented by solutions that can store the metrics and provide the tools to analyze them. 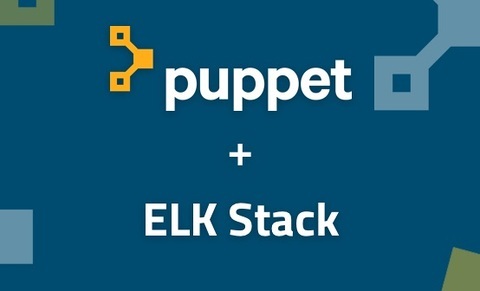 That’s where the ELK stack comes into the picture — providing a complete platform for collecting, storing and analyzing server metrics. 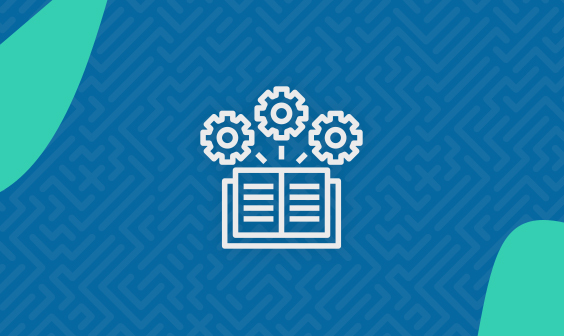 In this article, we’ll explain how to use both Logz.io and vanilla ELK to ship server metrics using Metricbeat. 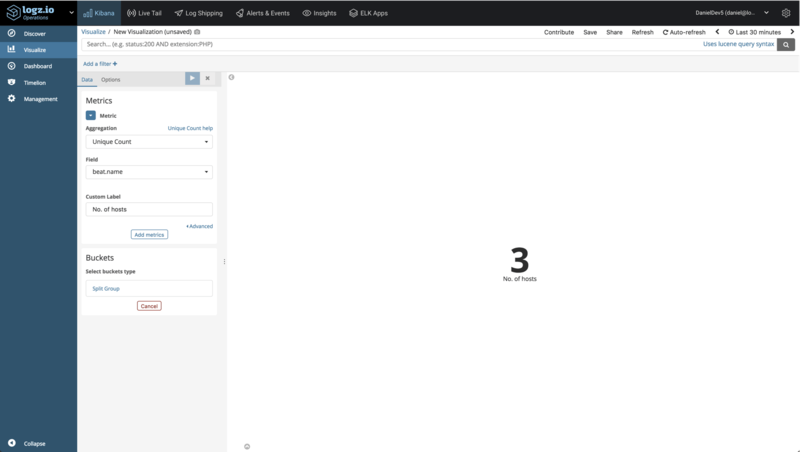 We’ll look into how to set up the pipeline and build a monitoring dashboard in Kibana (to follow the steps described below, you’ll need either a Logz.io account or your own ELK Stack setup). 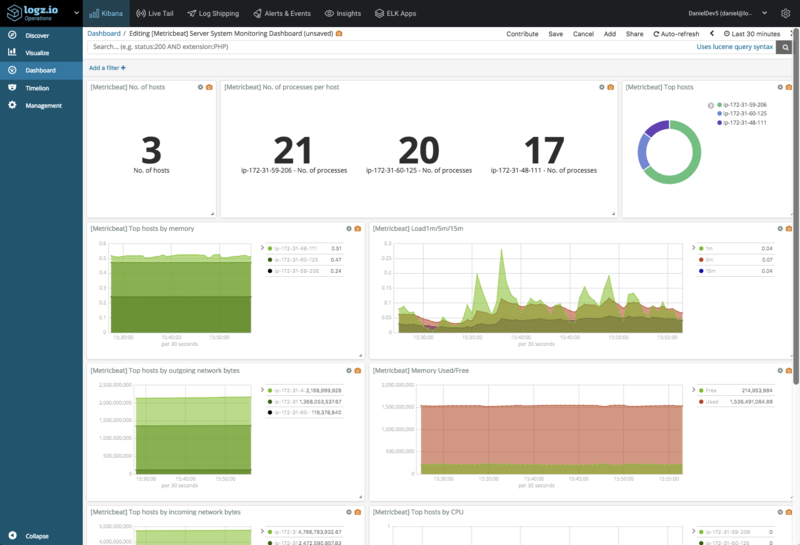 As its name implies, Metricbeat collects a variety of metrics from your server (i.e. operating system and services) and ships them to an output destination of your choice. These destinations can be ELK components such as Elasticsearch or Logstash, or other data processing platforms such as Redis or Kafka. Metricbeat is installed on the different servers in your environment and used for monitoring their performance, as well as that of different external services running on them. For example, you can use Metricbeat to monitor and analyze system CPU, memory and load. 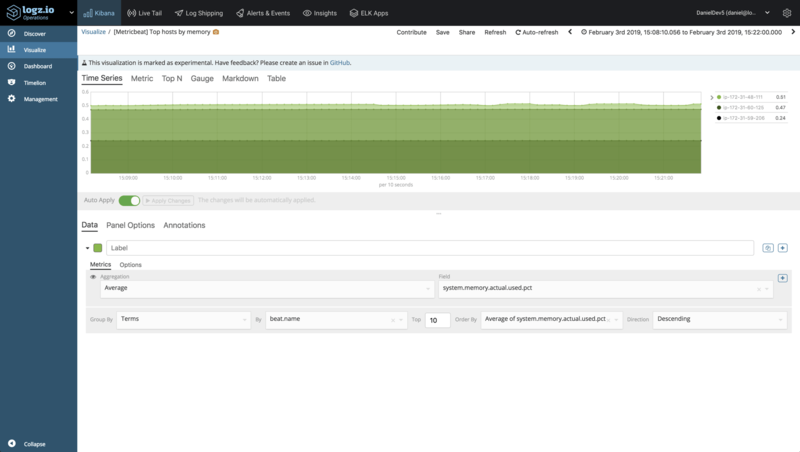 In Dockerized environments, Metricbeat can be installed on a host for monitoring container performance metrics. There are various ways of installing Metricbeat, but for the sake of this article we’ll be installing it from Elastic’s repositories. As mentioned above, Metricbeat can track metrics for different applications installed on our servers as well as the host machine itself. Within each module, different metricsets can be used to ship different sets of metrics. In the case of the system module, the default metricsets are cpu, load, memory, network, process and process_summary. Since I’m using a locally installed Elasticsearch, the default configurations will do me just fine. If you’re using a remotely installed Elasticsearch, make sure you update the IP address and port. If you’d like to output to another destination, that’s fine. You can ship to multiple destinations or comment out the Elasticsearch output configuration to add an alternative output. One such option is Logstash, which can be used to execute additional manipulations on the data and as a buffering layer in front of Elasticsearch. To ship metrics to Logz.io, there are a few tweaks that need to be made to the Metricbeat configuration file. Be sure to enter your Logz.io account token in the relevant field. You can find your token in the Logz.io UI, on the General page of your settings. Collecting the data is straightforward enough. In a multi-host environment, you will, of course, need to repeat the process above per server. The next step is to understand how to analyze and visualize the data and extract some insight from it. Metricbeat records a large number of metrics, and Kibana provides the tools to build some nifty visualizations to monitor them. Below are some examples of visualizations you can build based on these metrics. A more advanced visualization will help us monitor the amount of memory used per host. To build this visualization, we will use Visual Builder, Kibana’s Grafana-like visualization tool. And the examples go on. 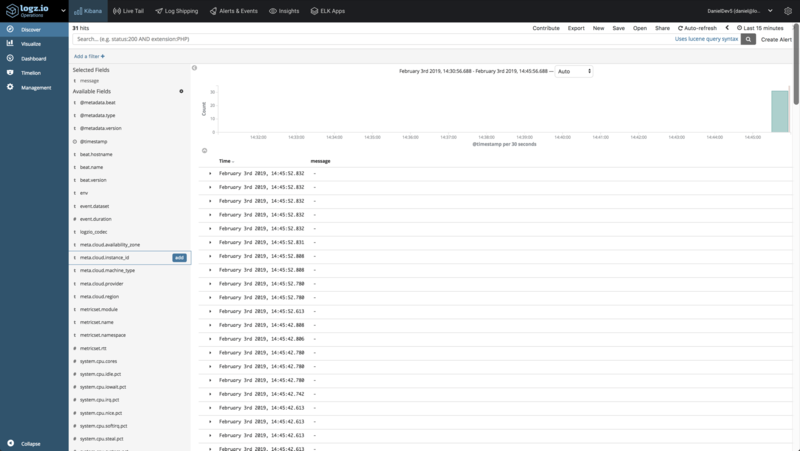 There really is no limit to how you can slice and dice the data in Kibana and the best way is to experiment. Once you have all your visualizations ready, simply add them into one dashboard. This dashboard is available in ELK Apps — Logz.io’s library of Kibana searches, alerts, visualizations and dashboards, together with other Metricbeat dashboards. Simply search for “Metricbeat” and install any of the listed dashboards in one click. 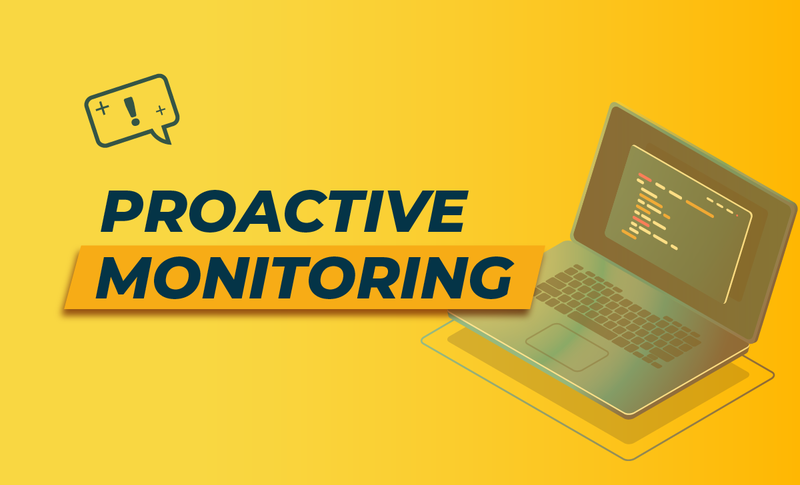 To be a bit more proactive in your monitoring, you will want to be notified when something out of the ordinary is taking place. If you’re using your own ELK deployment, you will need to add an alerting module to the stack — ElastAlert for example. If you’re a Logz.io user, you can use the built-in alerting mechanism to get alerted via Slack, PagerDuty, or any other endpoint you may have configured in the system. We only touched upon one type of metrics that Metricbeat supports, but in reality, you will be collecting metrics from a much larger infrastructure and different types of servers. Whether MySQL, Apache, Kubernetes or Kafka — Metricbeat supports the collection and forwarding of a vast array of server metrics which can be used to gauge the general health of your environment. You will most likely want to use a configuration management or automation system of sorts to simplify the process of deploying Metricbeat. You could use Ansible or Terraform, for example, but in either case, Metricbeat itself is extremely easy to configure. To sum it up, while the ELK Stack is first and foremost a log management system, changes being made to both Elasticsearch on the backend and Kibana on the frontend, as well as the shipping agents used to collect and forward the data, are making the stack a compelling solution for metrics as well. 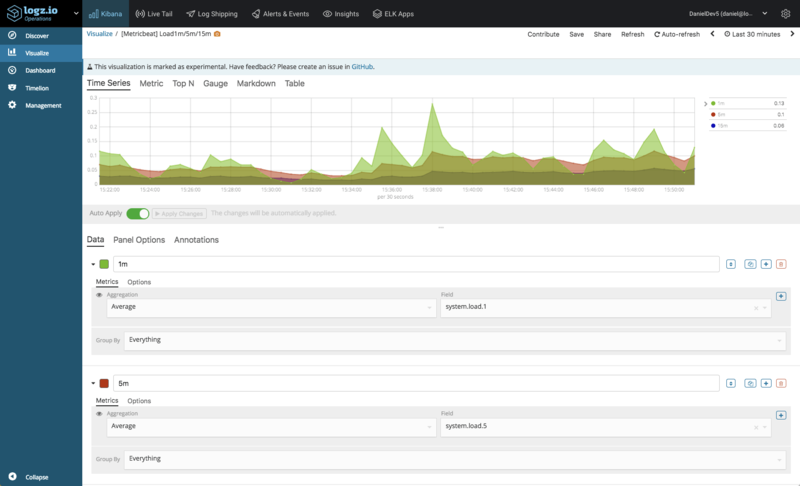 Check out our Metricbeat Dashboard, now available in Logz.io's ELK Apps, to make server monitoring easier than ever! We write about DevOps. 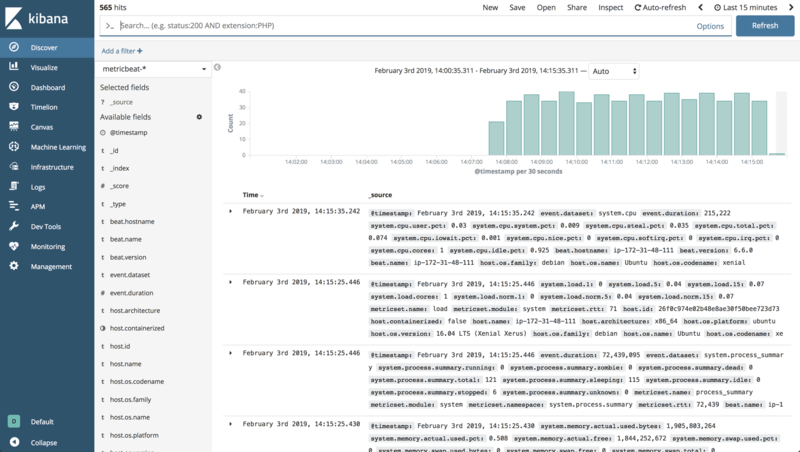 Log Analytics, Elasticsearch and much more!